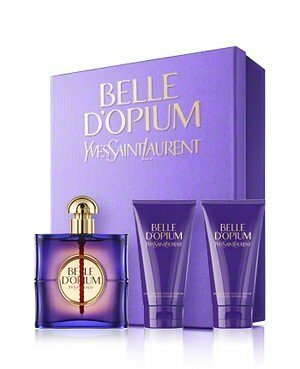 Belle d'Opium (Eau de Parfum) is a perfume by Yves Saint Laurent for women and was released in 2010. The scent is oriental-spicy. The production was apparently discontinued. Yeah, by he way subscribe ponies if you like. A couple of years ago, good old OPIUM was reformulated (which I perceived as a tragedy in itself then, while meanwhile I have managed to come to terms with the reformulation), but the 2010's Opium-flanker, Belle d'Opium, struck me as a very uninventive attempt at producing yet another "floriental" in the style of Lauder's "Sensuous" from 2008 (not a favourite of mine either). "Belle" uses loads of white pepper and mandarine in the top-notes and then morphes into a very powerful flowery gardenia-ladden fragrance on a strong bed of synthetic sandalwood (the key-word is synthetic). I don't even like the bottle it comes in (which is not a piece of art either, btw). "Belle" was a major disappointment, even worse than "Parisienne". Belle d'Opium has traded the spices in the original Opium, for pepper instead. If pepper is not your thing, I'd skip this fragrance entirely. I was so angered by Opium's repackaging and reformulation, that I'd put off testing the flanker Belle d'Opium for a long time so that my anger wouldn't hinder my review of it. I have long since cooled off and have given Belle d'Opium a fair chance to prove itself. Shortly after smelling Belle d'Opium for the first time, I commented on how musky and peppery the scent was. Pink pepper seems to be the starring note in this composition, followed by musky sandalwood and slightly soapy lily. The composition is not all that predictable, as it has some elements of complexity, however it is much softer than what I expected. Opium is such a sillage monster than one could be forgiven in believing that a flanker would be just as loud. The scent is not strictly feminine, I actually think it would wear just as well on a man's skin. The pepper gives it that slightly masculine kick. In all honesty, Belle d'Opium isn't really my cup of tea. It smells a little sharp to me, perhaps even a little fruity at times, even though fruits aren't listed in the scent pyramid. I absolutely adore the bottle and packaging, easily admitting that it's one of the nicest designs I've seen in the last few years. It's a shame that the scent didn't grab my attention the same way that the bottle did. I wasn't so convinced by the almost non-existent white florals smothered by rich pink pepper accords. Belle d'Opium lasts for a relatively long time on the skin, however it's not too persistent. I personally find this fragrance to be lacking in some aspects, that I haven't quite managed to figure out. I'm left feeling a little underwhelmed. 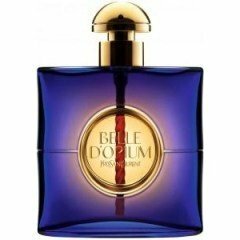 Write the first Review for Belle d'Opium (Eau de Parfum)!